This weeks theme is freebie. I hate theme freebie weeks because that means I have to come up with an idea all on my own, and I'm just not good at it. But, I decided to go hang out in my library (my personal library because I'm fancy people and have one of those) for a bit to see if anything would come to me. And it worked! So this week I shall give you ten classic novels I want to read by the time I'm 40 (I'm 34 1/2 right now). Here we go. Les Miserables by Victor Hugo - This book has been on my TBR FOREVER. This is one of the few books I allowed myself to move over to Germany when we PCS'd there seven years ago (I was being a total book snob with my choices focusing mainly on classics and books I'd want people to see on my shelves). 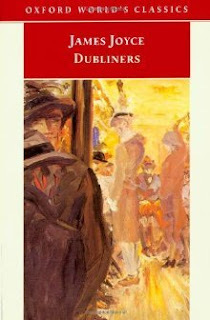 So I had a copy of this book with me pretty much the entire time we were living in Germany, and never got around to it. But I want to so hard. 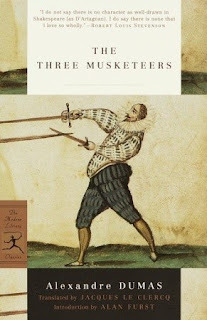 The Three Musketeers by Alexandre Dumas - This is another book that I took with us to Germany, and I'm pretty sure I've wanted to read it even longer than The Miserable. I've seen the movie and even visited one of the filming locations in Germany, but I haven't read the book. I need to remedy that. 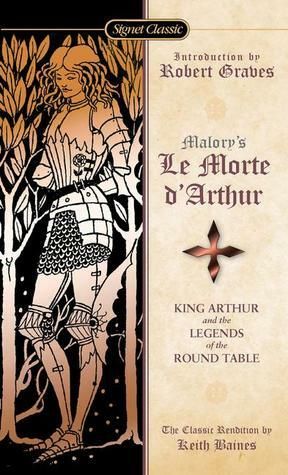 Le Morte d'Arthur by Sir Thomas Mallory - Ever since seeing Disney's The Sword in the Stone, I've loved Arthurian legend, but I haven't read a lot of them unless it was required reading for a class (which as an English major for a couple years of college happened a bit). And this is another book that I hauled to Germany and back again without even cracking the cover. Great Expectations by Charles Dickens - I am woefully behind on my Dickens (I've only read David Copperfield to date), so I have a lot of catching up to do. However, Dickens was not known for his brevity, so I really only feel up to tackling one of his novels every decade or two, and for my 30s, that novel is Great Expectations, I guess. 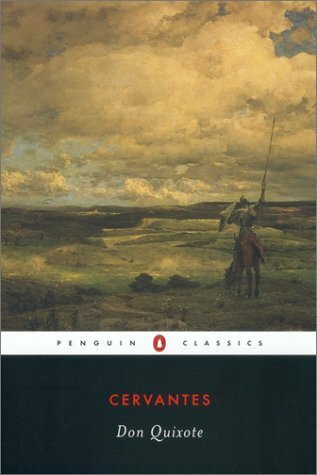 Don Quixote by Miguel de Cervantes - This is yet another book that I hauled across the ocean only to bring it back again unread (that may be a theme for this post as well, now that I think about it). 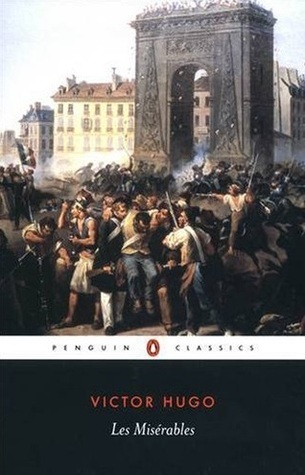 I feel almost like I included this book just to get some more variety in settings from my classics (although I've got France and England already). The Canterbury Tales by Geoffrey Chaucer - The Canterbury Tales are the reason I dropped out of college. Okay, that's a lie, but I was taking a Chaucer seminar the semester that everything went to pot for me, and trying to read this in the original middle English surely wasn't helping me any. I have some other translations now that should make it a bit easier (although I kept the book I had to buy for the seminar as well). Dubliners by James Joyce - I haven't read anything by James Joyce, but I first found a copy of this book in my college library and it piqued my interest. I never made any move to read it at the time because I did not have the time for fun reading in college (and frankly I'm amazed at all the book bloggers that manage to find time to blog and attend university now, they are freaking rockstars!) I own a copy now, so I should read it at some point. 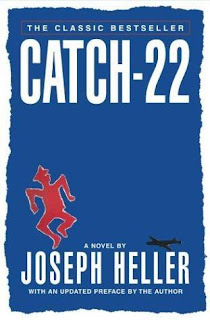 Catch-22 by Joseph Heller - So I realize that I'm kind of pushing the term "classic" with this one, but it is over 50 years old, so just go with me on this okay? This is a book that I'm not sure if I took a copy to Germany with me, but I brought back at least three copies, that is how much I want to read this book at some point (and if I'd already done it, I wouldn't have kept buying used copies at the thrift store because I would have known I'd read it). It's particularly amazing that I haven't read this book yet since it's set during WWII, and as you should know by now, I love WWII books. 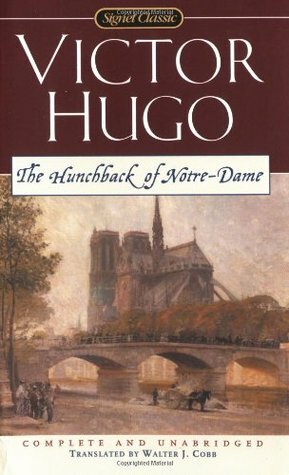 The Hunchback of Notre-Dame by Victor Hugo - Why I have not read this book yet, I do not know, although I'm not sure I've seen the entirety of the Disney adaptation of the story either, so I guess there's that. I'm intrigued by the title and what I have caught of Disney's version, so I definitely want to read it, and maybe including it here will get it done sooner, maybe. 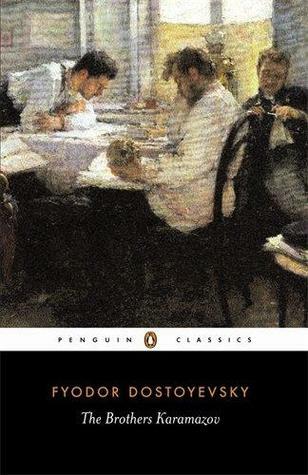 The Brothers Karamazov by Fyodor Dostoyevsky - I both really want to read this book, and really don't want to read this book. I've read a classic set in Russia before (War and Peace), and it was hard just keeping characters names and nicknames straight, because I think they all had like four different names and they weren't particularly obvious to this non-Russian speaker. But hopefully Dostoyevsky is a bit easier to read than Tolstoy. I can hope at least. Boy did this list turn into a real sausage fest. The feminist inside me is screaming at the fact that there isn't a single female author listed here. But as I think about it, most of the classics by women that I have any interest in reading to begin with, I've already read, whereas I've ignored the men (to an extent). Also, there are a LOT more classics by men since women weren't allowed to publish (under their own names at least) for so long. So maybe I should squeeze Wuthering Heights in here too (haven't read that yet) just to show the ladies some love as well. Oooh, I like how you did this list! It's making me wonder what books would be on my list like this??? Thanks for giving me some food for thought! I'd like to read Catch-22, too. Props to you!!! I can't do the classics as they gave me a bad taste in my mouth in HS. 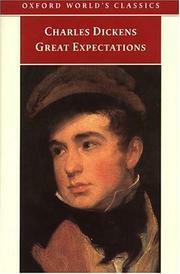 Great Expectations was readable-- the characters were just YUCK. I hated them all. Catch-22 sounds pretty good though! We honestly didn't read hardly any novels in my high school, and when we did, they were shorter like Hatchet (I swear that was a freshman year read for English class). Most of the classics I've read to this point have been on my own, which makes reading them less distasteful I think. WHAT!!! We read Hatchet in 5th grade!!!!! I can't believe you guys read that so late. Coincidentally, I'm currently reading it to my kid and it's so different than I remember it. The writing style is so hard to get used to. Okay, so it's entirely possible that Hatchet was a 5th grade read for me as well (I know I read it for school because I would not have picked it up otherwise). I just know that my freshman year we read some survival based book for English class, and that's the only one I can think of in anything close to the right age range. I also may have read it both in like 5th and 9th grade because I changed school districts at the beginning of high school. I honestly can't take most of the classics, the writing style and me are just not compatible, but I hope you enjoy all of these! I can deal with the writing style as long as I know to expect it going in. I read The Enchanted April a while back and just could not get into the story because I didn't realize it was a classic (I'd gotten my copy from Penguin's First to Read program in connection with Enchanted August which is contemporary). And I like trying to understand why books become classics. The thing about the women is that I've already read most of the classics by women that I'm interested in, but I will probably find something that piques my interest by a woman who is long gone. Since I started blogging I've noticed that my reading is way more current than it used to be (I check the graphs at Goodreads from time to time just to see), and that kind of makes me sad in a way. I’ve read some of this list, not all. The easiest of them to read and enjoy is Great Expectstions. Have to agree with Michelle that the hero of that is not very likeable, but I think Dickens knows that. I’d recommend Jack Maggs by Peter Carey. It’s a sort of GE fan fiction. In it, Magwitch(Maggs in this book)returns from Australia, where he has a comfortable home and two children, to look after the dreadful Pip. He gets a job as a servant next door - and, of course, Pip moves away! I liked the ending better than the original. The Three Musketeers is great fun and I read all 600 pages in a weekend. That’s the next easiest. You can get some copies of The Canterbury Tales with the original on one side and the translation on the other. 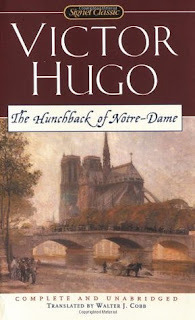 Some of those stories appear again and again in literature. It’s worth a go. I read Don Quixote and War And Peace when I was at secondary school. You will probably enjoy Don Quixote more if you have read Malory. See, the whole point of DQ is that it’s a sendup of that kind of fiction, no matter what you see in Man Of La Mancha. You don’t have to read Malory cover to cover either, though I did. It’s really a lot of linked short stories. Feel free to skip all the tournaments - you might as well be reading a report of a cricket game. “And then Sir X knocked Sir Y out of his saddle...And then Sir Lancelot turned up in disguise and knocked them BOTH out of their saddles...” But there is a lot of amazing stuff in there, so don’t miss it. 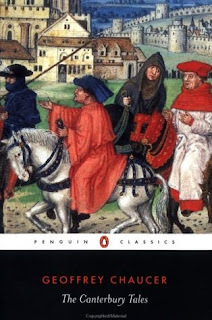 If you had trouble with The Canterbury Tales you might consider reading it in translation. The language is later - written in the time of Edward IV as opposed to Richard II - but it’s still not easy reading. I was doing Middle English at university, so I found it easier than you would. 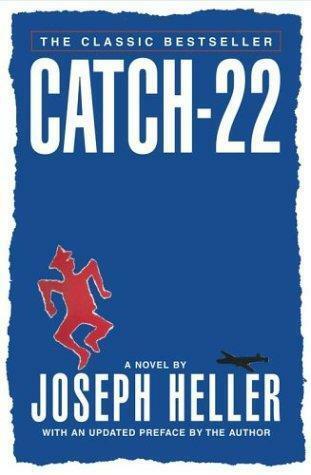 You are absolutely allowed to call Catch 22 a classic! The very title, Catch 22, has entered the language as a term for something that just isn’t going to work, no matter what you do. There is a whole lot to take in from your comment, and I love all the commentary on these classics. A few points, I was learning to read Canterbury Tales in Middle English (I think that was part of the point of the seminar), but was also dealing with some things in my personal life. I think if I set my mind to it, I could probably pick it back up in Middle English and get through it, but I think I'd enjoy it more with a modern translation (especially since I no longer have the class time to discuss the differences in Middle and modern English). And as for War and Peace, I did enjoy it, and even retained enough from it that two years after reading it I was able to score like a 70% on the Accelerated Reader quiz for it (the first and only year I ever had to do AR in school was my senior year because it was somewhat new when I was starting high school and hadn't fully caught on for our age group yet). I just found keeping the characters straight difficult because of all the nicknames for a single person. But I'm also not a sophomore in high school anymore, so intellectually I feel better prepared to deal with the Russian name thing (if that's even an issue in Brothers Karamazov). And thank you for validating my inclusion of Catch-22 as a classic.